The way prepared by His Herald the ‘star’, Maitreya, the World Teacher, has given His first interview on American television. Millions have heard Him speak both on TV and the internet. He was introduced not as Maitreya, the World Teacher and Head of our Spiritual Hierarchy, but simply as a man, one of us. In this way He “ensures that men follow and support Him for the truth and sanity of His ideas rather than for His status”. Benjamin Creme made this announcement at his public lecture at Friends House, Euston Road, London, on 14 January 2010. 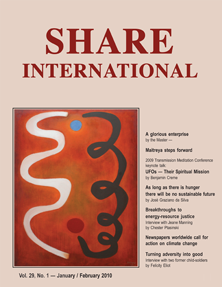 Please note: Share International has no further details about this interview (date, time, network, etc), for the following reason: it is very important that everyone has the opportunity to respond to Maitreya because they want for the world what He is advocating — sharing, justice and peace — rather than because they think He may be the World Teacher. When humanity sees Maitreya, whether they recognize Him or not, they will feel obliged to support Him or to reject Him and all He stands for: sharing, justice and peace. Thus will men be divided and known. Thus will the Sword of Cleavage perform its destined task, and thus will Maitreya know the readiness of men for change. Appearing before men as one of them, the Great Lord ensures that men follow and support Him for the truth and sanity of His ideas rather than for His status. Nevertheless, it matters not whether they recognize Him as Maitreya, as the Christ, or simply as a man Whose wisdom coincides with their own aspiration for justice and peace, for a better world for all men. Gradually, we must assume, many will begin to see Maitreya as the One awaited by all religious groups under their various names, and will call Him thus. Some will say: “He must be the Mahdi,” while others will declaim: “Krishna has come again, the law is fulfilled!” Others will ask: “Surely he is the Messiah, come at last,” while still others will see Him as the Christ or Maitreya Buddha. All will see Him as their Expected One, fulfilling their hopes and come to fulfill their needs. Maitreya will neither affirm nor deny these claims nor should those among His workers who believe they have recognized Him. Not until the Day of Declaration will Maitreya acknowledge His true identity and status. Maitreya will show that our problems are many but solvable. That the solution to all is already in our hands. That the simple act of sharing, alone, has the power to transform life on Earth for the better. He will ask for man’s trust, as an Elder Brother, that He will not lead them into other than their destined path of harmony and love, that they have nothing to fear but their fear, and that the way ahead already has the blueprint of the Divine. Thus will Maitreya ease the way for men to embark on a transformation huge in scope, involving all men and women everywhere, a transformation which will launch humanity into a glorious enterprise, the restoration of Planet Earth to its rightful place among its sister planets of our system. Q. “Today 56 newspapers in 45 countries take the unprecedented step of speaking with one voice through a common editorial. We do so because humanity faces a profound emergency.” This was the unprecedented step taken by editors of newspapers around the world on the eve of the Copenhagen Climate Summit in December 2009. Was this combined effort inspired by the Spiritual Hierarchy? If so, which Master was it? Should we look forward to more such historical occurrences in the coming months? A. Yes, Maitreya. This kind of action by groups of people in varied branches of society will increase and take form in the coming months and years. The media is really the mouthpiece of the people reflecting the people’s longing for action to save the planet, and this kind of action will continue in one way or another until that initiative is no longer needed. Q. Following the failure of leaders to arrive at a far-reaching agreement at the December 2009 UN climate conference in Copenhagen, allegations have surfaced concerning the reasons for the failure. Was it due to (1) China, and to some extent India, with economies that are still growing, protecting their own economic interests; (2) industrial and corporate interests, represented primarily by the US chamber of commerce, preventing any measures that would interfere with their freedom to pollute at will; (3) the Danish Prime Minister, desperate for a result of some sort, brokering a weak and partial agreement between a few selected countries? A. (1) Yes. (2) Yes. (3) No. Q. Do the Hierarchy of Masters see the full emergence of the Lord Maitreya happening before 2012? Or is it planned to happen in 2012? A. It is not planned to happen in 2012 or any other specific date. It is hoped and expected to take place in the very near future. Q. Will the time and day of Maitreya’s Day of Declaration be announced beforehand? A. Yes the media will make known the time. Q. There seem to be indications that the alleged attempt to blow up a Northwest Airlines plane at Detroit on 25 December 2009 was not all that we have been led to believe, and that it was ‘staged’. (1) Was this part of a plan to give the US an excuse to increase its influence in the Gulf region (by pointing the finger at Yemen), either to secure oil supplies, or for other geo-political reasons? (2) Was it to create an excuse to install full-body scanners at airports throughout the world, generating huge profits for the manufacturers of the scanners? (3) Was it an attempt by Republican and/or corporate interests to embarrass President Obama, or to force him to show himself as ‘strong’ in the so-called ‘war on terror’? A. (1) No. (2) No. (3) No. This is another illustration of the ‘conspiracy theory’ that seems to dog especially American responses. What are the ‘indications’ that these questions are pertinent? Why don’t people realize that these events can simply be a matter of fact? People generally, but especially in America, seem to have completely lost faith in the utterances of politicians, understandably. But one has to use common sense and rid oneself of paranoia. Q. (1) To what extent was the terrorist incident on 25 December 2009 on a flight from Amsterdam to Detroit an attempt by the ‘dark forces’ of the planet to delay Maitreya’s public emergence? (2) To what extent has Maitreya’s emergence been delayed because of it? (3) To what extent were the Masters involved in making sure that the bomb did not actually go off on the airplane? A. (1) Not at all. (2) Maitreya’s emergence has not been delayed. (3) Not at all. Q. On 12 December 2009 in the city Jinotega, in Nicaragua, a twelve-year-old girl found an image of the Virgin of Guadalupe on the floor of their house, where there is an altar to the Madonna. Her aunt tried to erase it with a mop but could not do anything. Is this is a real miracle? A. Yes, it is a genuine miracle manifested by the Master Who was the Madonna. Q. Could it be that astronomers are noticing the ‘star’ but, not knowing how to explain this new phenomenon, are reporting it as a newly discovered planet or asteroid? A. I do not think this is what is actually happening, rather, since professional astronomers (unless they believe what I have said about the ‘star’) have no way of explaining the ‘luminaries’, they tend to ignore their existence. Q. I read an article in The Examiner (10 December 2009) entitled “Norway light spiral – missile failure caused by UFO/ET intervention?” It reported that the Russians had a failed missile launch in the area, and continues: “There have been a number of occasions where nuclear missile tests have failed due to UFO intervention. Did an extraterrestrial intelligence cause the failure of the Russian rocket in order to generate a spiral of light knowing that it would capture worldwide attention during President Obama’s Norway trip? Did extraterrestrials do so knowing full well that Obama would discuss the abolition of nuclear weapons during his Nobel Peace Prize acceptance speech?” The article also gives an eyewitness account of a UFO encounter in 1964 by a former lieutenant of the US Air Force, Professor Robert Jacobs, who has been committed to silence about it, until recently. Other whistle-blowers have also come forward. Are the Space Brothers indeed ‘intervening’ in nuclear missile tests? A. No. There was no nuclear missile test on 9 December 2009, Russian or otherwise. There is a strictly held-to agreement between the Russians and the Western powers to inform the ‘other side’ of any such test in advance (thus obviating the possibility that either side was starting World War III). The spiral over Norway was caused by a spaceship (in fact Maitreya’s ‘star’) rising into the sky from behind the mountain and then carefully and deliberately creating the spiral. The whole event lasted 12-14 minutes and had no debris fall-out. Q. 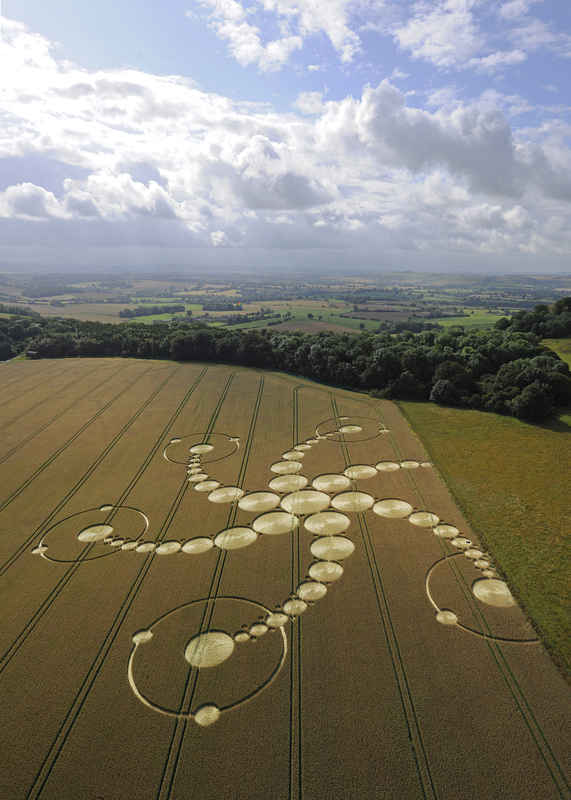 (1) Over the years there have been several spiral crop circle formations. Is there a connection between the spiral light seen in the sky over the north of Norway recently and these spiral crop circles? A. Yes. They are both made by spacecraft from our sister planets of our system. The north Norway sky spiral was made by the ‘star’ which has appeared as the Herald of Maitreya’s emergence into public work. Q. At first I was very excited about the reported phenomenon over Norway. 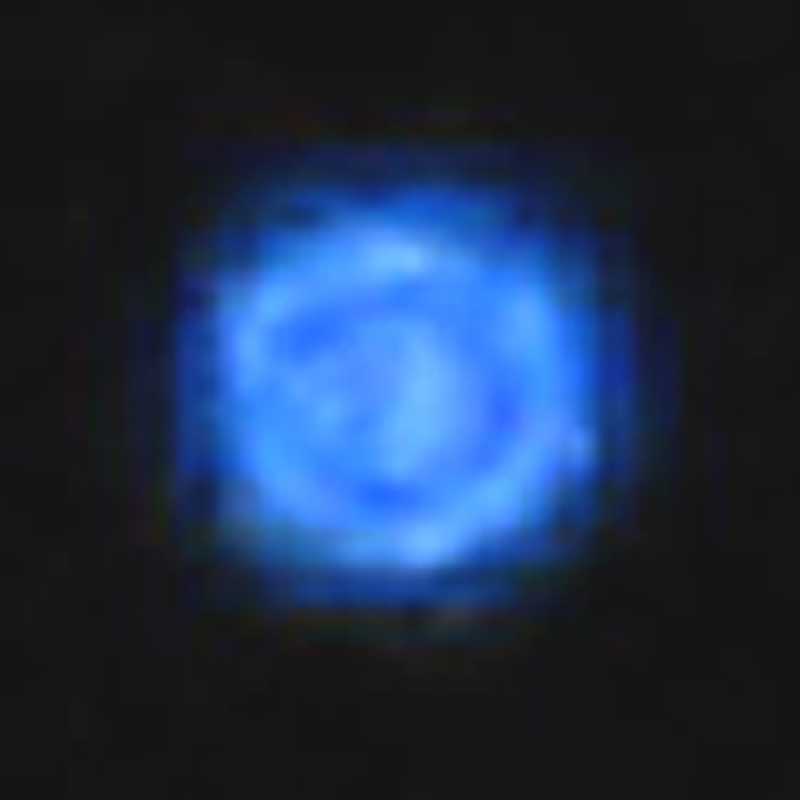 I have yet to see any of the ‘star’ sightings that others throughout the world have seen. But then the national news reported that it was actually an errant missile fired from a Russian submarine. (1) Is the media purposely misleading us on the true nature of this event in resistance to the coming of Maitreya and all the changes He will bring to mankind? (2) I have heard that the Russians had admitted firing a missile that had misfunctioned. A. (1) Yes, yes and yes, again. They are doing their best, as usual, to mislead the people but not forever. The people will refuse to be misled in this way. (2) This was put out as an explanation but is not true. In fact the Russians denied that they had launched a missile. Q. It seems that Norway has a particular leading role in the ‘star’ sign. 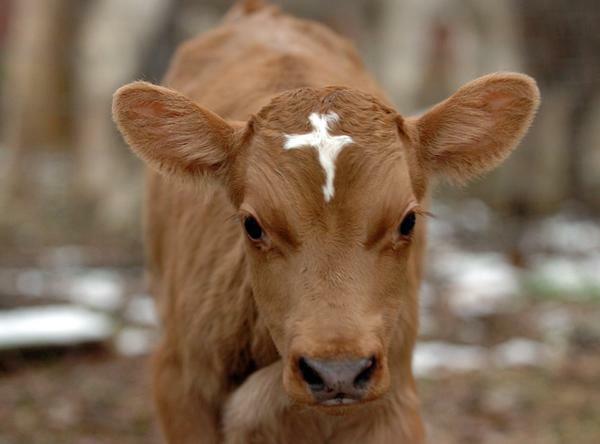 The first photo, I think, then the cross-shaped star, and now that marvellous and intriguing spiral. Could you explain why this is so? Does the ray-structure of Norway have something to do with it? A. No. These are pure coincidences but we are happy that the people of Norway were alert enough to make them known publicly. Q. My family and I live in Leipzig, Germany, and I have seen the ‘stars’ very often. But on 2 December 2009, at about 10.30pm, my wife and I saw something very spectacular. I would like to ask if we saw all four ‘stars’ beyond the moon in the east? They were blinking in various colours from blue to red, and formed a diamond. A. Yes, this gathering of the four ‘stars’ is a new development and is happening more and more. Thank you for your kind words. A. 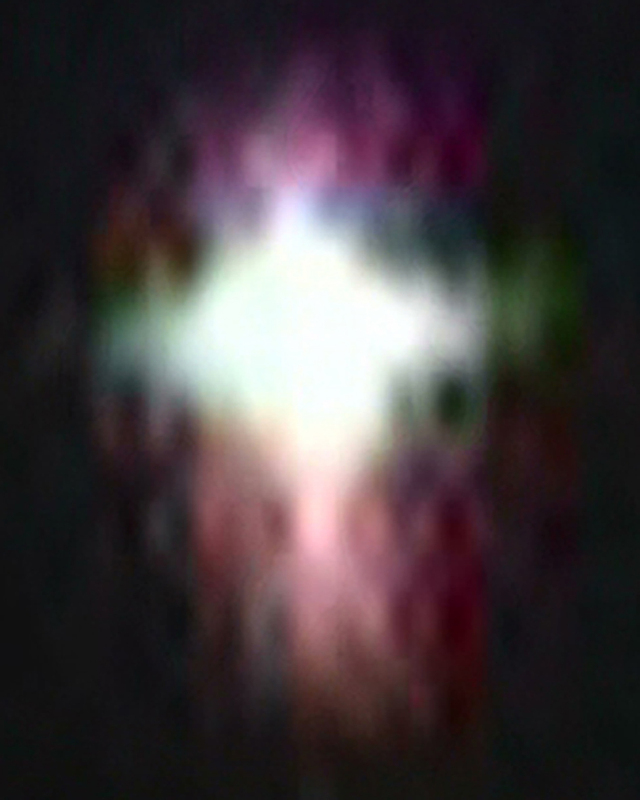 Yes, indeed, the star-like object you saw was Maitreya’s ‘star’, the Herald of His appearance on US television (but as ‘one of us’, not using the name Maitreya). A. It was the ‘star’, Herald of Maitreya. Q. 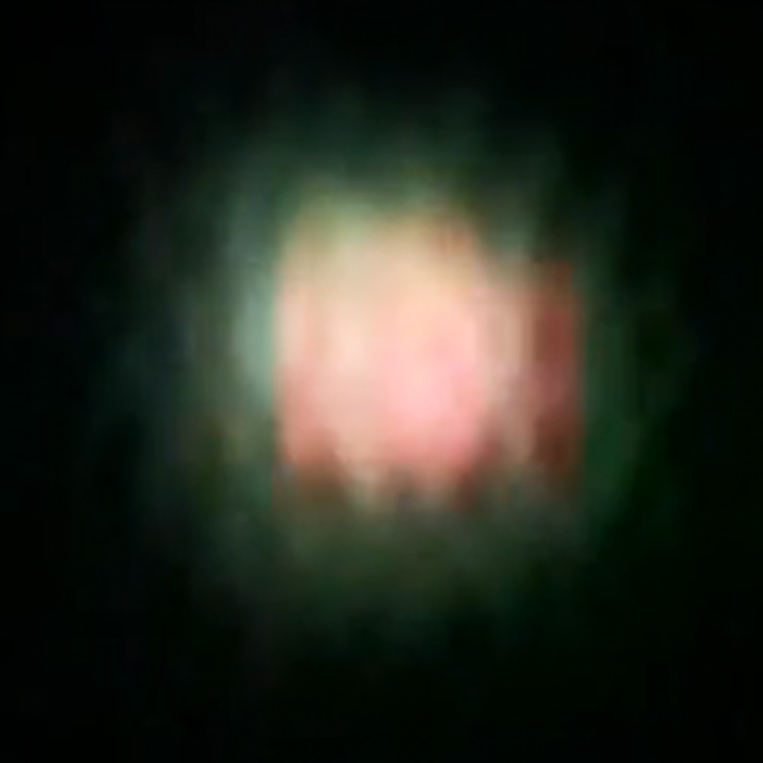 On about 21 November 2009 between 4am and 5am, I saw a beautiful glowing object on the horizon. I left the room for 2 minutes and when I came back, it had disappeared. It was so beautiful and glowing I wondered what it was. I have often seen very bright stars at night when I look outside my window. Are any of these the ‘star’? A. 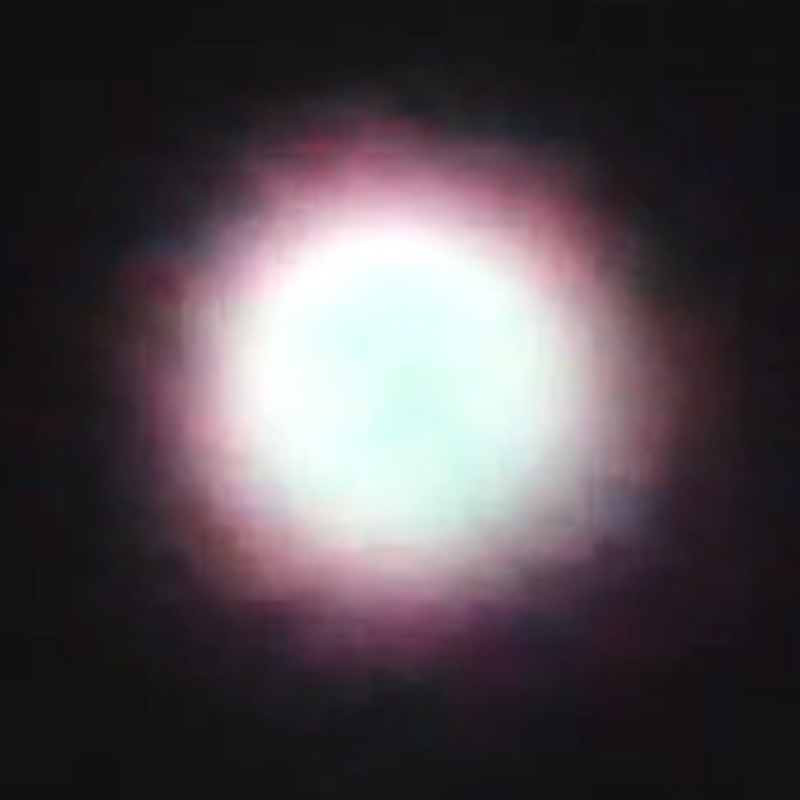 Yes, indeed the “glowing object” was Maitreya’s ‘star’. Q. On 4 December 2009, I was walking to the bus stop after work at 7pm in Surrey, BC, Canada, when I saw in the eastern sky what I think was the ‘star’. The following night I saw the same ‘star’ and also one in the southern sky. On 25 and 28 December I saw the same ‘star’ after work and I believe I may have seen the same ‘stars’ in White Rock, BC, where I live. They are the largest and brightest stars in the sky but sometimes it feels like they are trying to get my attention and want me to notice them. They have appeared to move when I ask them to confirm they are the ‘stars’. Are these the ‘stars’ of our Space Brothers? A. These sightings are indeed of Maitreya’s ‘star’ which of course is a huge spacecraft. You are correct in thinking that they are drawing your attention and answer your requests to move. You don’t have to ‘do’ anything but tell as many people as possible about the ‘star’. It is the Herald of Maitreya pointing to His appearance on US television (but not called Maitreya). Later, after looking through the book Maitreya’s Mission, Volume Three, I came upon a section in the chapter entitled ‘The Art of Waiting’, called ‘Windows of Opportunity’. Mr Creme discusses the illusory nature of time, and the way the Masters see the unfoldment of the Plan in terms of “windows of opportunity”. He says that even Maitreya does not know the exact time for His first television appearance. He sees a window of opportunity for His emergence in terms of the manifestation of many factors, including Cosmic energies and humanity’s responsiveness to them. On 23 December 2009, I was delivering flyers in Takadanobaba, Tokyo, about the spiral light over Norway. I wanted to cross the road to continue the work. When I was just about to cross the railway tracks, the crossing bar started to come down. So I stopped walking and waited for the train to pass. Then I realized a drunken man in his 40s on a bicycle approaching behind me. He tapped my shoulder and said loudly: “It’s a tiger! a tiger!” Then he pointed at the crossing bar which was painted with a black and yellow stripe and I started laughing about his sense of humour. I said to him: “Yes, indeed it’s a tiger isn’t it?” Then he continued talking loudly. “It’s a tiger! Tiger! It’s gonna be the year of the Tiger next year! You know, there is good gambling and bad gambling. Lottery is good! Horse racing is good! But not Pachinko! (a Japanese gambling machine game). I don’t remember the exact contents of our conversation but he was saying something like that. Then he tapped my shoulder and pointed at the crossing bar again and said: “Tiger! Tiger!” very loudly. The people were looking at us in a strange way but I rather enjoyed talking to this drunken man. The train passed and the crossing bar lifted. As soon as he passed I said to him: “Good luck with your gambling!” with a smile. He raised and waved his right hand as if to say “Yes!” to me. Could you please tell me if this man was someone special? Or just a cheerful drunkard? (1) Just after midnight on New Year’s Eve 2009 my family was watching the central London fireworks display from the loft windows in our house. We noticed about 15 bright orange-red lights emerging one-by-one from the glow of the fireworks. They flew one behind the other, spaced at regular intervals in a straight line, towards our suburb, Wimbledon, a distance of about 7 miles (11 km). At first we thought it was a fleet of commercial helicopters viewing the fireworks from the air. Then we realized there were no distinguishing white and red lights flashing, nor did the vehicles make any noise as they smoothly approached and flew directly over our house. Then they turned and seemed to disappear one by one into low clouds. Were they UFOs? (2) On Sunday 3 January 2010 at 5.30pm, my husband and I were walking our dogs in Richmond Park, London. As we walked out of the park we saw a large, bright orange sphere of light moving across the night sky, about level with the top of some nearby tower blocks. It moved silently and smoothly directly overhead and into the dark sky above Richmond Park. After a few moments, the glowing orange sphere stopped and ‘flared’ before slowly shrinking to a pinpoint and disappearing completely. Was it a UFO? After seeing in the New Year with friends, three of us were setting off back home from north London at 1.30 am on 1 January 2010. We were looking up at the night sky and saw a bright orange sphere high in the sky. We stood and watched as it appeared to glide silently and steadily across the roofs of the houses in front of us, then disappeared into a cloud. It emanated calm and stillness and seemed to have a poignant sense of timing following what had been a hectic December and Christmas period. We could see that it was obviously not a helicopter or plane from the unusual way in which it seemed to move and could not have been a Chinese lantern due to the speed and accuracy with which it travelled. We wondered if it could have been a UFO? We held a video-showing event on 9 August 2009, in Chiba City. When the video was halfway over, two men and a woman arrived together, saying “Here it is. This is where Benjamin Creme’s lecture video is being shown.” One of the men was a tall, sturdy, fair-skinned man in his late 40s or early 50s, wearing glasses. Another man was in his early 40s and a little shorter than the other. The taller man called himself a farmer from Onjuku. The woman in her 30s, was pretty and slender with shoulder-length hair, wearing whitish clothes with puffed skirt. She said she was a healer. As soon as the question-and-answer session started, a woman in the audience started criticizing, saying that this sounded like a religion, that if Maitreya was a savior, why shouldn’t he appear to save this messed up world, or what good were we the organizers of this meeting doing for the world, etc. Saying that the content of the video was totally different from what she had expected and that she felt she was deceived, she indignantly left. After she left, the taller man from Onjuku said, as if to pacify the atmosphere, that he could have heard this indignant woman’s opinion more. Then he began various questions such as: “Who is Benjamin Creme?” “Why is he giving this talk?” “On what ground do you believe this story is true?” “Has any one of you met Maitreya, or the Masters?” “How is the ‘star’ related to Maitreya’s emergence?” “If the stars are from Venus or Mars, are there any markings on them saying ‘made in Venus’ or ‘made in Mars’?” To all these questions members expressed their own opinions and the audience themselves contributed their impressions and/or opinions, all of which made this video meeting lively and very interesting. After the meeting, we reviewed it over tea. Before going home our co-worker Chica met the man who asked us so many questions. He approached her smiling and thanked her, saying that he thought it was a very good meeting and he understood well that the individual members had their own opinions, different from other members. Then he showed her a card which said ‘The Network of Light’, asking: “What is it to do with your group?” It turned out to be a card that one of our newer members gave him. Thinking back, this tall man seemed to have given us a lot of hints for us to consider and taught us to be prepared for our video meetings. He experienced a UFO at the age of 18. He already knew this story. He was taught, but not from books. He tried to tell this story to others, but they treated him like a mad person. He was sorry to have asked such questions at the meeting. Those who attended the meeting were very lucky people. What he wanted to know at the meeting was our experiences of miracles. We have to cultivate a more pleasant atmosphere at the meeting. Take a more focused approach to disseminating the information. Things change, yet people go for them. They think paper is edible. People are not thankful for food. Were these three people who came late to the meeting special? On 12 December 2009, my wife and I were on our way to get provisions for the weekend. As we walked past the local branch of a popular chain-store, my wife went inside to search for a particular item. Although it was chilly, I decided to wait outside to enjoy the weak winter sun. As I stood on the pavement, slightly absent-mindedly watching the passers-by, I suddenly heard a voice behind me. I looked round to see an elderly woman in a long beige winter coat, with white hair, pushing a wheeled walking frame. Having missed what she had said, I asked her to repeat it. “Do you use a colour rinse, by any chance?” she asked. Rather taken by surprise, it took me a few moments to understand what she was referring to. “To get such a good grey colour in your hair,” she explained cheerfully, with a lively expression. “No, not at all!” “We ladies use it, of course,” she went on. I must have looked a bit non-plussed, because she then said, placing a hand on my arm, “We Amsterdammers are like that, we’ll just speak directly to anyone.” And as she left, she said over her shoulder, “It’s a compliment, you know!” “Thank you!” I said. She went into the store, and I burst out laughing, feeling greatly cheered up. I still chuckle every time I think of it. I had a heart operation at Nagasaki University Hospital on 31 March 2009, due to a burst aortic aneurysm. My survival rate was said to be 50/50 and the operation lasted for 8 hours. It was conducted by a team of young doctors between 30 to 40 years of age. My wife, children, my sister and her husband were watching the operation on the monitor in the separate room. Strangely, they saw that an elderly doctor with white hair sticking out of his cap was leading the operation. My family witnessed this doctor twice. Later, my wife asked the principal doctor in charge of me if there was an elderly doctor involved in the operation, which he flatly denied. Was there an elderly man involved in my operation? If so, who was he? As I was cycling home from work on 19 October 2009 I was considering if I could or should send a colleague the link to an internet advert about the ‘star’. At about the halfway point I noticed a bright light in the evening sky. After looking at it a few times, I realized it must be the regular heavenly body (I think Jupiter) which has been occupying much the same spot for several months now – I just saw it from a different direction than when I see it from my home. So I continued on my way when suddenly I noticed a light that was just as bright as the one I had just decided was Jupiter, but seen from where I was at a 90 degrees angle, i.e. more to the east. I looked over my shoulder and saw Jupiter still there, then looked back in front of me, slightly to my right, and there was the other bright light. It could not have been an airplane, because I would have seen it coming and growing in size, until the flashing lights on the tail or the wings would be visible. But it was suddenly there, just as bright and stationary as Jupiter, almost like a reflection in a mirror. After cycling for another few hundred metres my notion that it could not be a plane was confirmed when, just as suddenly as it had appeared, it was gone! Not slowly moving out of viewing range or anything like that – it was more like it had been switched off. I felt happy and uplifted at the possibility that I saw Maitreya’s ‘star’. Quite recently I have seen the ‘star’ dancing. On 6 November 2009, at about 4am, when I looked up from the window of my room, I saw a white bright star in the southern sky. Then, it started to do various movements. It was moving a little up and down, or moving in a tiny clockwise and counterclockwise circular movement. Then it was moving to the east a little, going up and down. It was repeating these movements for about 20 minutes. On 19 November 2009, at about 2.50am, I found the white bright star again in the southern sky from the window of my room. It started to move in a counterclockwise whirling motion and then in a clockwise one. And then it was swaying. It was as if the star was dancing! Its dancing made me happy and I chuckled to myself. I said to it “good night” in my mind and then it got dim in ‘sleep mode’. Was it the ‘star’? On 5 September 2009 at 9.30pm my wife, daughter and I, as a group of tourists in Kranjska Gora in Slovenia, and some locals as well, spotted a circular-like light source up in the sky right above where we were standing. The glowing sphere was constantly changing its shape as if it was ablaze and it was emitting a shade of yellow light tinged with orange. Even though it seemed as if it was burning, there were no signs of flames or smoke. It was about half the size of the Moon which was rising in the sky at that time. While the sphere was moving towards the west in an asymmetric manner and stopped several times in between, it was changing shape at a slow but constant rate. Eventually, as the light source began to get smaller and smaller we were under the impression that it was dying out and was going to vanish. Then my wife noticed a small dim blue light in the sky setting on the west horizon. Could this source of light symbolize the arrival of Maitreya? On 20 October I was driving home from Munich to Regensburg. There were four of us returning from a spiritual meeting. Around 10pm we were watching the night sky, many stars were visible. I had talked about the ‘star’ to the woman next to me, and wondered if it was the same star we had been seeing every evening around 10pm, that I had guessed was Jupiter. The woman asked if this was the ‘star’ outside? I said I didn’t think so: I thought it was Jupiter again. Suddenly the star began to grow! It became bigger and brighter within seconds: much bigger than any star I had ever seen. Now I was sure that it must be the ‘star’ heralding Maitreya. After a while the ‘star’ began to move higher up in the night sky. It blinked, then the star-like white light turned into another shape, like a flying object with two or even more parts. We could see very clearly red and green lights, which blinked. The whole thing seemed to be quite near, nearer than airplanes. 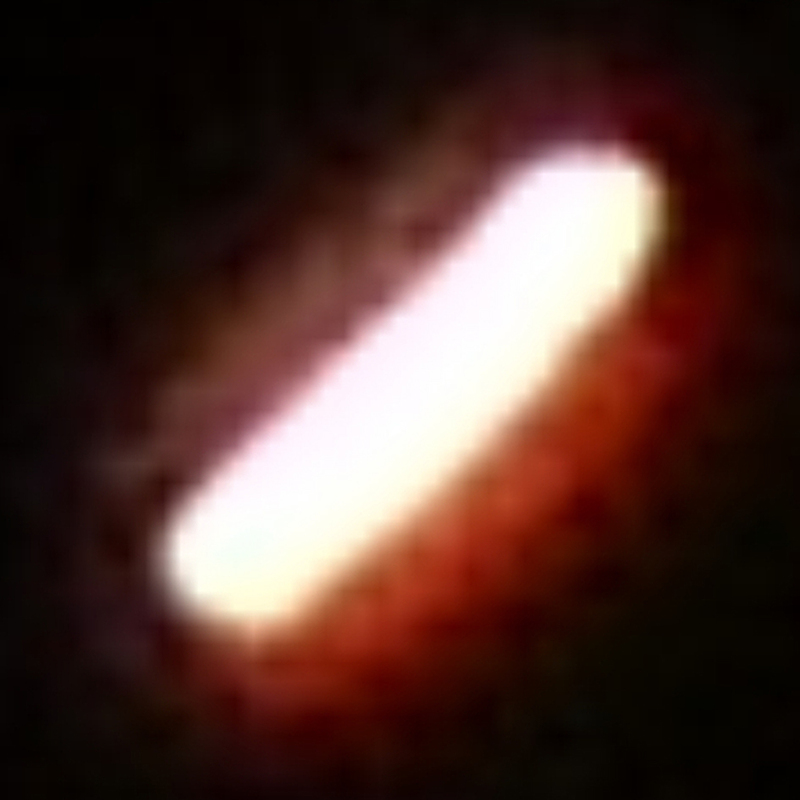 The blinking lights seemed to stop, then the object disappeared above our car. This was all very impressive, especially to the other woman. She wanted to know more about our story all the way until we arrived home. (1) Was it the ‘star’? (2) I am a bit confused now about the ‘star’ I see every evening in front of our flat in Regensburg which I always guessed was Jupiter. Can you please tell me if that is true? On 8 October 2009 at 1.30am I woke up and went to my kitchen for water; I looked out the window, as I always do, and saw a very big bright star in the New York City sky, in the south west. I thought the star was unusually big and it was all by itself in the open sky. I grabbed my binoculars to get a better look and asked if this was the miracle ‘star’? The ‘star’ started moving at an incredible speed. It was as if I was getting my own private light show. When I removed the binoculars the star appeared in a normal state. It was only when I used the binoculars that the “show” began again. It was delightful to watch. Was this the miracle ‘star’? Y.S., Long Island, NY, USA. A woman in Colorado who suffered an apparently fatal heart attack during birth labour inexplicably came back to life minutes later and recovered completely. Her baby, born nearly lifeless, was revived in hospital. Tracy Hermanstorfer, a 33-year-old woman with no known heart conditions, suddenly stopped breathing and went into cardiac arrest during labour on Christmas Eve 2009 at the Memorial Hospital in Colorado Springs. Dr Stephanie Martin, a physician who attended Hermanstorfer, said: “She had no signs of life. No heartbeat, no blood pressure, she wasn’t breathing.” Doctors and nurses unsuccessfully attempted to revive her with chest compressions and a breathing tube. Four minutes later, fearing for the baby’s life, they performed an emergency Caesarean section without anaesthetic. The baby, said Martin, “was basically limp, with a very slow heart rate”. The text was drafted by a team of editors from more than 20 of the newspapers involved, and was translated into 20 languages. “Unless we combine to take decisive action, climate change will ravage our planet, and with it our prosperity and security,” the editorial says. The article calls for global action that is fair to all countries, especially those in the developing world: “Social justice demands that the industrialized world digs deep into its pockets and pledges cash to help poorer countries adapt to climate change, and clean technologies to enable them to grow economically without growing their emissions. The architecture of a future treaty must also be pinned down – with rigorous multilateral monitoring, fair rewards for protecting forests, and the credible assessment of ‘exported emissions’ so that the burden can eventually be more equitably shared between those who produce polluting products and those who consume them. And fairness requires that the burden placed on individual developed countries should take into account their ability to bear it; for instance, newer EU members, often much poorer than ‘old Europe’, must not suffer more than their richer partners. “The transformation will be costly, but many times less than the bill for bailing out global finance – and far less costly than the consequences of doing nothing. The editorial concludes with a call to action: “Kicking our carbon habit within a few short decades will require a feat of engineering and innovation to match anything in our history. But whereas putting a man on the moon or splitting the atom were born of conflict and competition, the coming carbon race must be driven by a collaborative effort to achieve collective salvation. “Overcoming climate change will take a triumph of optimism over pessimism, of vision over short-sightedness, of what Abraham Lincoln called ‘the better angels of our nature’. “It is in that spirit that 56 newspapers from around the world have united behind this editorial. If we, with such different national and political perspectives, can agree on what must be done then surely our leaders can too. People took to the streets across the world to demand action from their leaders at the Copenhagen Climate change conference held in Denmark in December 2009. In the world’s largest ever environmental protest, around 100,000 people travelled from around the world to march through the chilly Danish capital in a mostly peaceful demonstration. The event lasted all day, with marchers joining the Friends of Earth ‘Flood for Climate Justice’ at 10am, walking to the Parliament building to hear speeches in the afternoon, before walking six kilometres to the Conference centre where there were more speeches and entertainment. There were large contingents from Europe as well as smaller ones from across the globe, making it a truly international march. Archbishop Desmond Tutu, musician Angelique Kidjo and former UN Commissioner for Human Rights Mary Robinson were among those speaking at the protest. Climate change is “undermining human rights on an unprecedented scale,” Mary Robinson said. “International human rights law says that ‘in no case may a people be deprived by its means of subsistence’. Yet because of excessive carbon emissions, produced primarily by industrialized countries, millions of the world’s poorest people’s rights are being violated every day. This is a deep and global injustice.” Nobel Laureate Archbishop Tutu joined an “international climate hearing” organized by Oxfam that allowed 1.5 million “witnesses” to the damage caused by climate change around the world to make their situation known. These included farmers in Uganda suffering from drought and families affected by floods in Bangladesh. Tutu spoke about the effect of climate change in his home country of South Africa. “I too, stand before you as a witness. I have seen with my own eyes the changes in my homeland…. The Southern Cape is currently experiencing the worst drought anyone can remember. There is not enough food. There is too little water. The situation is becoming increasingly desperate,” he said. There were also events held around the world to mark the Global Day of Action on Climate Change. Many were held the preceding Saturday in order to gather momentum for the Copenhagen protests. Marchers – as many as 100,000 nationwide according to organizers – in cities throughout Australia took part in a “Walk against Warming”, with 40,000 in Melbourne alone, where protesters formed a ‘human sign’ across Princes Bridge which read: “Safe climate do it!” Another human sign was formed in Auckland, New Zealand, reading “Climate SOS”, one of many colourful events held across the country. 200 Filipino activists staged a festive rally in Manila and protests were staged in 100 piazzas in Italian cities, with demonstrators carrying banners that read “Stop the Planet’s Fever” and asking passers-by to sign a petition calling for a deal to be reached to reduce CO2 emissions. Around 10,000 marched in Paris, 15,000 in Brussels, 5,000 in Madrid, 5,000 in New Delhi. These were just a few of the many demonstrations held by activists and ordinary people across the globe who got together to demand from their leaders real and decisive action to halt the increasingly dangerous effects to the world of climate change. We present a selection of quotations on the theme of the Art of Self-Realization from Maitreya (Messages from Maitreya the Christ, and Maitreya’s Teachings – The Laws of Life), Benjamin Creme’s Master (A Master Speaks), and Benjamin Creme’s writings. Maitreya says He has come to teach humanity the art of Self or God-realization. He equates humanity with the Self, and the Self with God. He says: “You are the Self, an immortal Being.” Our pain, He says, our suffering, our problems, are the result of the fact that we identify with everything and anything other than the Self, the immortal Being of which we are a physical-plane reflection. He says: “Ask yourself: ‘Who am I?’” You will find that you identify with the physical body. We look in the mirror and say: “That is me.” In this way we are subject to all the limitations of the physical body. The physical body is mortal; it lives so long and then it dies, and we have to come back into incarnation in a new body. So we cannot be the physical body, it is only a vehicle. Or we identify with our feelings, our sensations, our energies, our emotions. These are not us: they were not there yesterday, perhaps they will not be there tomorrow. They are unstable, never the same. If we are an immortal Being, they cannot be us. Or we identify with our mind, with the creations of our mind, our memory. We think we are Mr or Mrs So-and-so, with so many children. That is not us, that is our memory, the creation of our mind. We say we are Christian, Hindu, Muslim, or Buddhist. That is not us. That is a belief, an ideology. We are an immortal Being and therefore not subject to the limitations of the physical body, the emotional body, or the mind. We are not a fascist, a democrat, a Christian, or a Buddhist. These are all constructions of the mind. We are, above all these transient beliefs, an immortal Being. How do we become that immortal Being here and now on the physical plane? Maitreya says His way is the most direct, the way of growing awareness. It involves the practice of three attitudes. One, honesty of mind. Almost no one has honesty of mind. It is not just being honest and not stealing other people’s property. All of us think one thing, say something else, and do something else again. For honesty of mind, what we think, what we say, and what we do must be in a straight line. Two, sincerity of spirit – being who we are, distinct and individual. Not trying to be like somebody else, not imitating other people, but speaking from the heart to the heart. Not speaking to provide others with some false idea of ourselves, manipulating them so that they admire or like us. It is being honest in oneself, sincere. Few people are truly, inwardly sincere. The third attitude to practise is detachment. Detachment is the awareness that we are not the body, the feelings, or the mind – gradually detaching ourselves from that kind of identification. If we are attached to our emotions, for example, and someone plays a dirty trick on us, if our reaction is one of strong indignation and anger, then we are not detached. If we are detached, we will not react with indignation and anger at such a slight. What we find in practice is that these three attitudes are mutually supportive. The more aware we become, the more honest we become, the more sincere. The more sincere we become, the more honest we manage to be. The more sincere and honest we become, the more detached we become. The more detached we become, the more sincere and the more honest. These three work together, like a yeast. “Your destiny is freedom. No one is ‘born in sin’. Rather, the Self is subject to conditioning during the process of evolution. The process of evolution is the Becoming. “If you follow the three principles of honesty of mind, sincerity of spirit and detachment, evolution proceeds naturally. Your ‘second nature’ is conditioned nature, but practice of the three principles will free you from conditioning. No one is ‘condemned’ to conditioning. Most people think one thing, say something else, and do something else again. There is no direct line from their thoughts to their actions. This leads to confusion and destructiveness. This is not honesty of mind. Honesty of mind leads to honest speech and honest action. Peace and happiness can be achieved through this harmony. Sincerity of spirit means not imitating other people, not pretending, not trying to appear different from what you are. Sincerity of spirit is not taking on somebody else’s ‘garments’, not imitating your favourite film or pop star. It is simply being yourself. If you are an artist, musician, writer or poet, the most interesting thing you can be is you, not somebody else through you. Imitation in art and music is looked down upon. Imitation in life is somehow not looked down upon, but it is just as important. Art, music or literary expression are part of the life expression. This is certainly as valuable and personal, and has to be as original, as you yourself are. Each person is unique. You have to give expression to that uniqueness. That doesn’t mean you have to do everything contrary to what is normally known and accepted, but it does mean you have to be yourself. If you follow others instead of being yourself, you lose your sparkle; you cannot reflect the light of individuality. Without that light, there is no progress in life. Similarly, when you experience the Self within and come to know you are an immortal entity, completely separate from mind, spirit and body, you learn to use these temples of the Lord creatively, with awareness. Processes of healing follow automatically. “The Self is endless. Awareness is endless. Mind, spirit and body have a beginning and an end. With detachment, the Self experiences phenomena in mind, spirit and body, but it does not get attached to the miraculous powers of which mind, spirit and body are capable. The laws of creation are in the mind. The universal energy is in the spirit and the forum for the materialization of the creation is the physical body. In effect, when the Self observes God’s powers it is detachment which saves the Self from imprisonment in the bondages of life. Detachment is the most powerful ‘drug’. It becomes so effective that it immunizes the Self from the processes and proceedings of mind, spirit and body. To learn detachment is an art. A scientist, with detachment, will learn the laws of physics and chemistry (the laws of creation) and will apply them, creating things which constitute God’s work. The artist, with detachment, will be able to describe God through his own experiences. Benjamin Creme writes: The Prayer for the New Age, given by Maitreya, the World Teacher, is a great mantram or affirmation with an invocative effect. It will be a powerful tool in the recognition by us that man and God are One, that there is no separation. The ‘I’ is the Divine Principle behind all creation. The Self emanates from, and is identical to, the Divine Principle. The following article is an edited version of a talk given by Benjamin Creme at the Transmission Meditation Conference held near San Francisco, USA, in August 2009. There is an enormous amount of information of one kind or another about UFOs, some of it true, absolutely authentic, and masses of it which is utterly unreal and unauthentic. This is a huge and all-important subject. In the late 1940s and early 1950s pilots of all types of aircraft, sometimes with their passengers, began to report that they had seen inverted saucer-like objects with domes and circular windows, which flew alongside their plane and then sometimes sped off at tremendous speed. These reports gained in currency and became headlines in various newspapers. When I first read about them, I assumed like many that these saucer-like objects were probably new craft that had been made by America, Russia or Germany. After the end of World War II, the Allied armies moved into Germany. In southern Germany obvious, demonstrable evidence was found that the Germans had been carrying out secret experimentation in anti-gravity devices during the war. At the same time, the Americans and Russians were carrying out similar experiments in secret to attain anti-gravity. All of them were fiercely engaged in an anti-gravity approach to flight, which was entirely new. One day, by arrangement, in November 1952, Adamski went into the desert, near Desert Center, California. The group of observers stayed a few hundred yards away and viewed the scene through binoculars. A spacecraft landed, of the type that flew alongside the commercial planes in the 1940s and 1950s. According to Adamski a man came out of the spacecraft dressed in a one-piece suit. He talked to Adamski without using language, at least not immediately, but made him understand what he had to say. In fact, they had a telepathic rapport. The man, who said he came from Venus, was wearing shoes the soles of which were cut in such a way as to leave clear and pronounced impressions in the desert sand, which were later photographed by the group who were watching from a distance. The word was put out that a man from Venus had landed in a spacecraft. Leslie heard about this incident and wrote to Adamski, suggesting that Adamski add his sighting report in the desert to the book that he had already written about the history of flying saucers down the ages. Leslie’s book claimed that flying saucers from other planets had been visiting Earth for thousands of years, and that there were many descriptions of these craft and artifacts on Earth that lent weight to this claim. Leslie and Adamski together published the book Flying Saucers Have Landed (1953) and it became a best-seller. Thousands of copies were sold all over the world. The book was taken up in a big way by the so-called ‘New Age’ movement, especially in America, sometimes to its benefit and sometimes to its detriment. Adamski became famous in many parts of the world. He went on a series of lecture tours in the US, South America, Europe and elsewhere, talking about the spacecraft. In 1955, Adamski published another book, a much longer account, Inside the Space Ships. In that book he gave an account of having been taken up in a small scout craft, like an inverted saucer with a dome, to a huge mothership. Inside the mothership he was introduced to extraordinary people, and given profound teachings by a major figure on the ship, a teacher from Venus. That teaching was so profound it changed the thinking of thousands of people who read the book. It was not the only source of that teaching, but was very much akin to that given out by the great teachers of this world, such as Krishna, the Buddha, the Christ, and Mohammed. All the great religious teachings seem to be underscored by the teachings given by the teacher from Venus. This teaching is profoundly transforming and closely resembles Maitreya’s teachings. It is, in different words perhaps, like the teaching of Maitreya when He talks about the nature of humanity as a kingdom, how we are one world, the need for sharing, just_ice, right relationship, and above all, the necessity that there should be no more war. This is emphasized over and over again in the teachings given by both Maitreya and the Venusian teacher. Adamski, a straightforward, genial individual, brought this teaching back home and made it known. It fits together perfectly with the core of New Age teaching, which came from Helena Petrovna Blavatsky, Helena Roerich and Alice A.Bailey, and gave an entirely different view to humanity coming out of the war. The effects of the war were still being felt very strongly in Europe, Japan and Russia, and people were just beginning to pick up the threads of civilization again. They were looking for meaning and purpose, for guidance in the restructuring of the world. The United Nations was formed, and in it was embedded the creed of the rights of men and women everywhere (the United Nations Declaration of Human Rights). The world gradually faced up to the problems that had accrued as the result of the war – the poverty of Germany, which was absolutely shattered by the Allies; the extraordinary damage and loss of life that had occurred in Russia, which set back the Russian people from their desire to create a new society after the terrible struggle with Nazism. After the war, America created the Marshall Plan, its greatest act in many decades. The Marshall Plan transformed European industry, supplying Europe, especially West Germany, with the newest and best applications of industry that America, despite the war, had been able to create throughout the war years. This photograph was taken by a visitor to the Cuzco (ancient Inca city) area of Peru on 16 February 1989 between 9.30 and 10.30 am. The exact location is the Valle Sagrado Urubamba. The extraordinary object in the sky was not seen by the photographer nor by the people buying and selling wares on the mountain. Nevertheless, it appears on two photographs taken at different spots, higher and lower on the mountain. 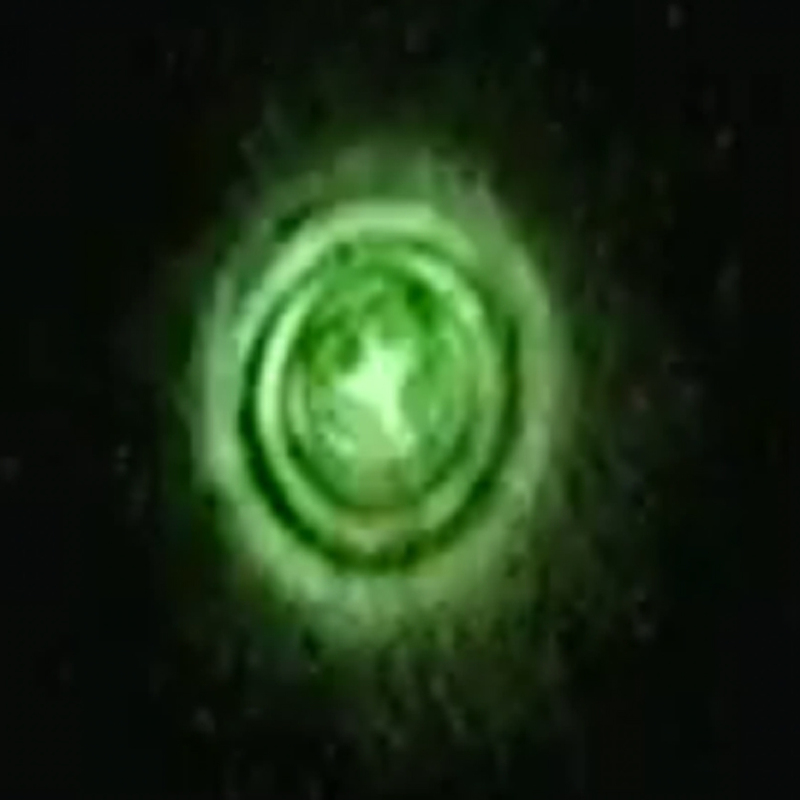 Benjamin Creme’s Master has identified the strange object as a spaceship from the planet Jupiter, whose crew projected the image of the ship (which was in etheric matter) onto the film. It carried some 500 people. In the Andes there exists a much-used base for our Space Brother visitors. Then came two traumatic events. Berlin was divided into four zones: the Russian, American, British and French. In 1961 the Russians blocked their zone, making free passage between eastern and western Berlin impossible. America and Russia had been allies in the war against Nazism from 1939 to 1945, but became enemies in the most extraordinary ways. America held on to its idea, if not complete, of democracy, and Russia to its idea, if not the reality, of communism. Each held fanatically to these two ideas and brought the world to a point closer than it had ever been to a third world war. These two major powers had just emerged from the second part of the two great wars of the 20th century and in 1961 stood at loggerheads. What few people know is that President Kennedy did not bring about the cessation of hostility between Russia and America at that time. It was brought about by the Space Brothers of our own solar system, chiefly from Mars and Venus. 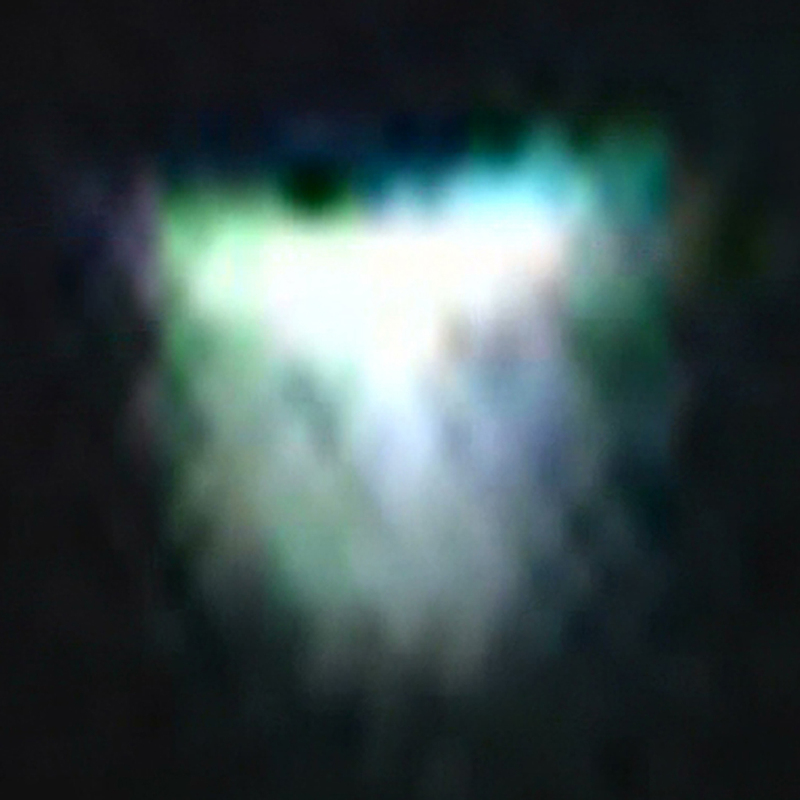 They are masters of energy, as can be seen in the exploration of space by the UFOs. They have a control of energy such as we do not even know is possible, and were able to nullify the tension between the Americans and Russians. President Kennedy was advised by a Venusian agent living on Earth to approach the Russians in a certain way, which he did up to a point. He did it – in his own American way, but he did it – and in the meantime the Space Brothers completely removed the energy from the situation and the crisis passed. That was the nearest point since the war to a breakout of a third world war and was only prevented by the Space Brothers. They called on all their forces, their own control of energy, and all those who live among us as ordinary people but who are actually agents of Venus, Mars, Jupiter and other planets. In October 1962 there was another point at which the world came close to a third world war. In September 1962, the Soviet government secretly delivered nuclear missiles to Cuba. When United States intelligence discovered the weapons, the US government did all it could to ensure the removal of the missiles. Then, in October, the Russians chose to call America’s bluff to see what it would do by sending a ship loaded to the gunnels with more nuclear missiles across the Atlantic to deliver to Cuba, so that they would be on America’s doorstep. The Russians made no attempt to camouflage them this time, so anyone could see they were missiles. It was an answer to America, a provocative attempt by Russia to say: “You have surrounded Russia with missiles from Alaska to Pakistan,” which America had done and still does. Pakistan is an American base, and has been for years. From there, as well as from the southern border of Russia, up to Alaska, Russia is completely surrounded by the missile bases of America, and has been since the 1960s. President Kennedy for a second time made an announcement. He had been told by the Space Brothers, through an agent in the US Diplomatic Service, what to say. He did more or less say what he had been asked to say but again in his own way, rather than in the way he was asked to say it. As he had been asked at the time of the Berlin crisis, President Kennedy was again asked to speak to the Russians with respect and understanding, saying that he could clearly see their concerns and would seek to allay their fears. Instead, he was very outspoken and challenged Russia. I do not believe the Russians had any intention of continuing to deliver these missiles to Cuba. I do not believe they were so foolish, so lacking in insight, to think that they could do this without being stopped. Certainly the Cubans had no wish to be obliterated from the face of the Earth. So the ship turned back, as Russia, I am sure, had expected it to do in any case. That was the second time the Space Brothers had to intervene very strongly to bring about a cessation of animosity. They do this by energy, by nullifying the negative forces, allaying the fears of the people, and bringing about the possibility of a truce, a state in which new things can grow. That is how the Space Brothers have worked all along. They do not believe in confrontation. The advice given to the people of Earth is to solve all disputes by co-operation rather than confrontation, seeing the other point of view and taking the spiritual path rather than the path of war. That is the nature of the Space Brothers. That is why they are so evolved, why they have this extraordinary technology that is so far ahead of our own, and never have wars. They are way above that and have nothing but peace and goodwill for humanity. Humanity lives not only in this solar system, but also throughout the whole of cosmos. There is nowhere you can go in cosmos where you will not find human beings. All the planets are engaged in one Plan, which also involves Earth. Most people on Earth do not even know that such a Plan exists. It is a Plan of evolution for our solar system, which works as a unit. We think of the Earth, the Sun and Moon, but pay very little attention to the other planets of our solar system, except through NASA and the Russian exploits. All the planets have their Plans. They are all part of our solar system and the solar system evolves together. Not all the planets are at the same point in evolution. Some are very low in evolution. Some, like Earth, are about halfway along the path. Some are very evolved indeed. As we have hundreds of thousands of lives to go from being an early animal man or woman to a Master, so a planet has seven expressions or rounds, each of which is millions of years long. Some planets have completed that course and have become invisible, but are still there, in etheric energy. Some, like Venus, are in their last round. Venus is the alter ego, the higher aspect, of Earth. Earth is about at the halfway point, in the middle of the fourth round. At that point a planet begins to find its course, its destiny. Its people begin to wake up. This is happening in the world today. Humanity is waking up from a long sleep in which it lost contact with reality, with the purpose and meaning of life on Earth. It became deeply embedded in the profound materialism in which it is still involved to this day. Maitreya has come to awaken humanity. The space people too have come to help and save humanity. They have been portrayed, most particularly by the US government, as bestial beings who destroy carcasses and leave them strewn over the plains and deserts of America, who take people up in their spaceships, perform operations on them, embed little chips that keep the people under their control ever afterwards, and send them back down to Earth. All of this is utterly false. If one thing is clear from the teachings of Adamski coming from the Venusian Master, from my Master, and, you will find, from Maitreya, it is that the Space Brothers are absolutely harmless to the people of Earth. In fact, their presence here is a spiritual mission. They come to save humanity from even greater pain and suffering than we would otherwise have known in the years since the discovery of nuclear fission. This nuclear energy is in tremendous potency and is destroying the well-being of humanity and the lower kingdoms. It works by depleting our body’s immune system, and therefore opens us to all manner of ills that otherwise would not affect us. As a result, we have wave upon wave of influenza and other diseases that we have less and less ability to cope with. The growing incidence of Alzheimer’s disease at ever younger ages throughout the world is a direct result of the high concentration of nuclear energy at the higher etheric levels, not registered by the instruments of our present-day scientists. This energy plays on the human brain, causing more and more Alzheimer’s, memory loss, disorientation, and the gradual breakdown of our body’s defence system. Our nuclear scientists believe they have total control of nuclear energy, which, demonstrably, they do not. They have no understanding of the four etheric levels of matter above the solid, liquid and gaseous levels and therefore a limited knowledge of what they know as nuclear energy. It is actually etheric, physical matter which we should not be using. Nuclear energy is, as it says in the Bible, “that which stands where it ought not”. Nuclear fission should not be utilized. It is deadly and is increasingly damaging the health of the people of this planet. The people of other planets spend countless hours mopping up this energy and at the same time creating on the dense-physical plane a replica of our planet’s magnetic field. Every planet is surrounded by a magnetic field. It is made up of lines of force that criss-cross, and where they criss-cross they form vortices. These vortices have been replicated on the dense-physical plane by our Space Brothers as part of a new energy grid that Maitreya calls the Science of Light. This energy grid in relation to electrical energy brought directly from the sun will give us the new Science of Light as predicted by Maitreya. It will give this planet, as on other planets, unlimited, safe power for all purposes, in ways that cannot be bought up or cornered by any group of men. For obvious reasons, this technology will not be given until we have abandoned war for ever. Most essential today is that we should abandon war for ever, come to a co-operative agreement among all people that war is a thing of the past. This will be the basic point of Maitreya’s early teaching. He will stress again and again that we have to make peace. Nothing short of peace will do because we can now destroy all life, human and subhuman, on planet Earth. Maitreya and the Masters come in part to make sure that we do not destroy our planet. If we did destroy the planet, it would have irrevocable consequences for the rest of the solar system, and the future for humanity would be dreadful indeed. We would have no planet to live on, and would have perpetrated a terrible crime against ourselves and the other planets. We would end up incarnating on some distant, dark planet, not at all evolved. We would have to start at the beginning, as we were millions of years ago, and take again the long slow climb upwards. It would be unbelievably painful and restrict our evolution for thousands, perhaps millions of years. Why choose that? Why, indeed, choose such an end? 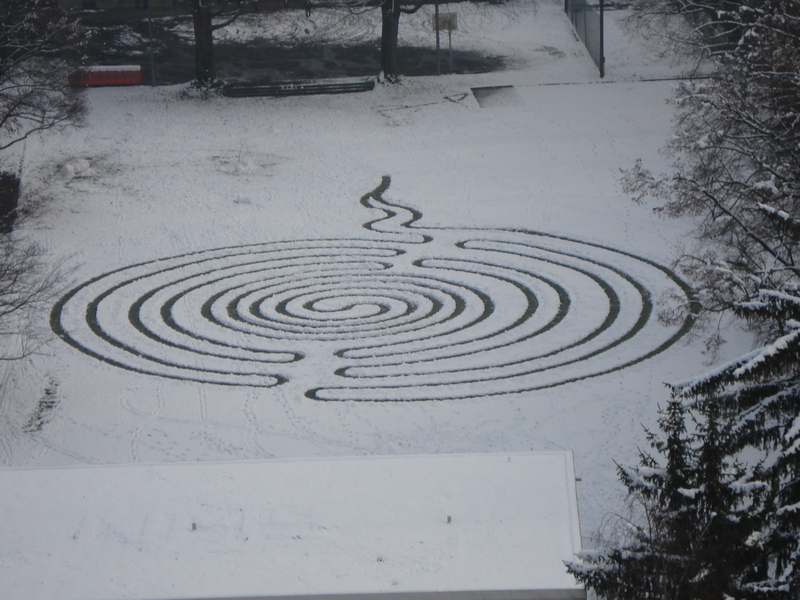 This intricate pattern appeared in snow at the Kornhaus Bridge, Berne, Switzerland, on 15 December 2008. 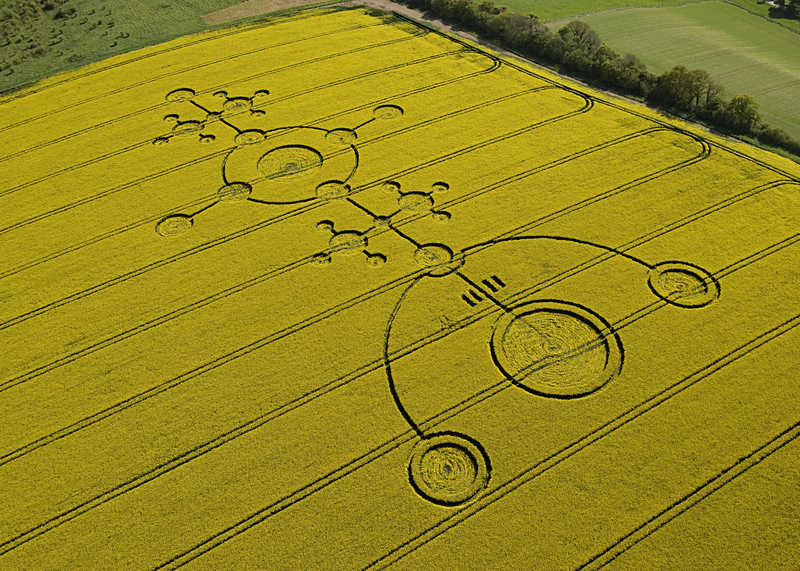 It was manifested by the Space Brothers and is similar to crop patterns seen in the UK and the Norwegian spiral ‘star’. Photo sent by F.W. They could land, make a big noise and tell us that they are here, but they do not. They make contact quietly, sensitively – so that they do not drive us to panic. If they come down and people panic and are terrified, the Space Brothers just go away. If the people are not terrified, if they do not panic, then things might happen. The Space Brothers might introduce themselves, and they have introduced themselves, to thousands of people of this Earth. These are people who to this day have never mentioned their meeting with a spaceship and with spacemen who came out of it, who spoke to them without seeming to speak, but made them understand that they were visitors from far off planets come in peace to help us. The people who have been contacted have been afraid to speak, afraid to be ridiculed. We ridicule those who speak out. We ridicule those who tell the truth, even when we recognize the truth. We tend to reject the truth because the truth means a change in oneself, a change in one’s way of thinking, feeling, acting and reacting. It means a real psychological change, so it is difficult. It is easier, therefore, to deny than to affirm. The people of the saucers are harmless in a way that we only wish human beings would be. We invade each other’s privacy all the time. We have no reticence. If you want them, they are there. If you do not want them, they do not interfere. They do not come forward. They are reticent, quiet, polite, in a way that most of us are not. Living together in peace is what Maitreya is about. That is how the Space Brothers live – harmlessly, tactfully, respectfully. They are our Elder Brothers, as are Maitreya and the Hierarchy of Masters. We are one solar system. All of us are engaged in a journey to perfection together. We are at different levels, some nearer the end of the road, some of us struggling to find a path to the right road even after millions of years. The Space Brothers are here to help. With their help the forces of evil will be destroyed, the forces that prevent people everywhere from living together in peace with justice and right relationship. Right relationship is the next destined step forward for humanity, and with the help of the Space Brothers and the emergence of our own Hierarchy of Masters, that will quickly come to be. The Space Brothers are giving of Their knowledge of the Science of Light, the new Science that will give us unlimited energy for every need. They have that science, and will put it at our disposal when we show that we are able to live together in peace with justice, sharing, and right relationship, as soon as we renounce war for ever. Then we will know that They are our brothers indeed. Jeane Manning is an award-winning Canadian author. In 1981 she learned about a network of inventors, engineers and scientists who research non-conventional energy generators with the goal of giving humankind clean energy abundance. Since 1986 she has traveled extensively – interviewing key people in the field and attending energy conferences about breakthrough energy systems that could replace oil and nuclear fission reactors. Manning’s books are published in six languages. The most recent, co-authored with industrial scientist Joel Garbon, won a silver medal in the international Independent Publishers’ 2009 Outstanding Book of the Year competitions. Its title is Breakthrough Power: How Quantum-Leap New Energy Inventions Can Transform Our World. Jeane Manning was interviewed for Share International by Chester Ptasinski. Share International: The subtitle of your new book covers a broad scope. What do you mean by “how quantum-leap new energy inventions can transform our world”? Jeane Manning: That refers to the implications of breakthrough energy-converting inventions – for people, ecosystems and the economy. Sweeping changes become possible. So the subtitle refers to social, economic, cultural, financial as well as environmental transformations. Transformation in this context means democratization of creative scientific exploration. Today there’s energy apartheid on Earth. The ‘haves’ can power electronics, appliances, homes, greenhouses and workplaces and buy fuel for transportation without hesitation, while ‘have-nots’ don’t have access to fuels and reliable electricity or can’t afford them. However, the disparity can be eliminated by turning toward radically different energy sources. Experimental devices show that tapping into ambient background energy or other sources for low-cost, clean energy abundance, is possible. These possibilities open the door to new energy systems that can be fairly accessed by all. Furthermore, the emerging science underlying new energy and new propulsion technologies can also be applied to fields ranging from architecture to health. Understanding the background energy of the universe will open us to vast heights of knowledge. SI: Your book begins with the down-to-earth here and now, so let’s do the same. What does “new energy” mean? JM: When my co-author and our colleagues use the term to describe an invention or an area of research, it means a leap forward to a new understanding of how to tap into a clean energy source – usually a previously unrecognized source. New energy is defined by the advocacy group New Energy Movement as a class of innovative and super-efficient low-cost, clean, decentralized energy systems that includes a variety of quantum-leap new inventions. They have the potential to replace today’s polluting energy technologies and clean up Earth. New energy systems are practical and can be developed with relatively small research and development budgets, but have usually been unacknowledged by mainstream scientists and their followers in the media. New energy does not refer to incremental improvements to existing technologies. We’re not talking about solar, wind turbines or geothermal (although we encourage their use). Nor are we talking about standard technologies of the hydrogen fuel cell industry. Standard energy alternatives are expensive, intermittent or unwieldy compared to the potential of outside-the-box new energy alternatives. The New Energy Movement is not aligned with industry advertisements that frame the expansion of the nuclear fission industry as clean or new energy. That’s dishonest propaganda, and nuclear fission being sold as clean energy technology drives me up the wall. The problem of disposing of radioactive waste has not been solved by that industry. Building nuclear power plants is expensive and involves using 19th century technology – consuming fuel to create steam to drive turbines. Not new. Meanwhile, we have an opportunity to go in a fuel-less direction. There’s compelling evidence for a variety of clean local approaches arising from original thinking and experimentation with working prototypes. The best approaches work in harmony with nature. Unfortunately, much of the research is languishing in under-funded laboratories. SI: How about some examples? • Energy converters that innovatively manipulate magnetic fields to create electricity. • Crystal Converters, which convert background energy to electricity without using moving parts or batteries. • Water-as-fuel inventions that resonate water molecules, with hydrogen released super-efficiently at point of use to provide power. • Breakthroughs in cold fusion, now known as Low Energy Nuclear Reactions. • Solid-state (no moving parts) devices in which electronic circuitry and materials resonate with cosmic background energy. • Sonofusion – using sound frequencies to create tiny bubbles that implode and release an excess of energy. • Vortex technologies – working with rather than against natural motions. SI: Hasn’t cold fusion been dismissed as junk science? JM: The class of tabletop experiments that 20 years ago were labeled ‘cold fusion’ may be something other than standard fusion of atomic nuclei – but not junk science. Whatever they’re named, those experiments have been replicated internationally, which is a scientific success. However, the disinformation campaign against that field has been even more successful. So yes, it’s dismissed by hot-fusion establishment physicists who count on the millions of dollars they’re collectively paid for working on their expensive particle accelerators. Their dismissal is glib, because they expect fusion in a metal lattice (palladium) to act the same as fusion in hot plasma and release radioactivity as happens in their accelerators. Elsewhere, tenacious scientists continue cold fusion research. Japan, Israel and Italy have the most advanced programs, and Russia, China, France, South Korea and India are spending on cold fusion too. Their successes involve real outputs of excess energy, unlike the huge particle accelerators. It’s quite a contrast. Transmutation of elements happens in some of these experiments. That could possibly be applied to cleaning up radioactive waste. We don’t know how cost-efficient it would be, because none of the new-energy scientists have been able to get funding to pursue it further. Vested interests are instead committed to encasing the wastes in glass or some other established method. SI: You mentioned a wide spectrum of research and you name many more types in Breakthrough Power. Do the various inventions have anything in common? JM: They are parts of an exciting creative field whose time has come. Underlying many of the inventions is emerging science that’s evolutionary, in contrast to materialistic, reductionist science. We see it as science of a higher mind. Many of the new approaches involve a study of how the universe really works. Examples are the work of Nassim Haramein, seen at www.TheResonanceProject.org, and the rediscovery of concepts of past thinkers such as Dr Walter Russell and John Worrell Keely* who was perhaps 200 years ahead of his time with his “sympathetic vibratory physics”. *[Interviewer’s note: Helena Blavatsky discusses the occult significance of Keely’s work in her 1888 book The Secret Doctrine, Volume 1]. The energy revolution will eventually be seen as part of a revolution in consciousness. The old paradigm is about competition and belief in energy resource scarcity. The new paradigm is about co-operation. The new worldview will have to be about laying down arms – an end to the days of physical conflict. It can be the biggest revolution in human consciousness ever – from warring to caring. SI: How could that happen? JM: I hope that as the new science reveals the incredible interconnectedness of all life, that understanding will be the foundation for humankind’s new story. Energy-resource abundance itself can be a powerful tool for building a higher civilization. It’s not a cure-all, but it is a levering and leveling tool that’s becoming available at the right time. SI: A higher civilization – on Earth? JM: Does it sound too idealistic in a time of increasing violence? Consider this: our era is changing fast, and while something is in motion you have the opportunity to change its direction. You can’t turn a parked car without forcing it, but when it’s moving swiftly a mere tug on the steering wheel can result in an entirely different destination. SI: Quantum physics talks about “zero point energy”. Is that a basis for the energy revolution? JM: Zero point energy experiments sometimes deal with a force called the Casimir force, which pushes things together at the very small level – billionths of a meter. But tiny machines aren’t likely to convince us to support a new-energy revolution. The mainstream view of zero point energy usually limits the concept to something like “vibrational energy retained by molecules even at a temperature of absolute zero”. Not very inspiring, just a jittering movement of atoms, and that definition doesn’t cover the unknown source of extra power that pours into some of the experimental apparatus. Perhaps zero point energy is just one indication of something bigger – a primordial and more powerful field underlying physical reality. SI: As a final question, can you reveal something about the “bigger picture”? JM: I’ve seen ample evidence that the human family aspires to become more than what it is now. And anyone tuned into a source of inspiration intuitively knows that a higher civilization on Earth is possible. I expect it will flourish first with energy justice – peoples everywhere having access to low-cost heating and cooling, irrigation, clean drinking water, communication technology, education opportunities. A more peaceful world can result from energy abundance and equality of opportunity. In such a setting, availability of leisure time unleashes human creativity in the arts and sciences. A new field of education can start, with vital parts of the curriculum being knowledge of subtle energies and how to live in harmony with nature. Architecture can be transformed with new materials resulting from processes in research areas such as fractional hydrogen. Cities anywhere on the planet could be aesthetically pleasing cultural centers with quiet streets – no noisy fuel-burning transportation – and soaring translucent buildings. Any excess heat can be converted into electricity and cooling with the new technology. And conversely no one needs to shiver in a cold apartment. A reprieve from the struggle for survival could give beleaguered humans a chance to find out who they really are – a most gratifying lifelong process. It is against a backdrop of war, abduction and violence that Sierra Leone’s young people have had to find their way into adulthood – some traumatised and rootless continue to roam the streets of the country’s towns, living by crime, prostitution and drug trafficking. There are others, however, who, by dint of their strength of character, a persistent faith, the kindness of others, good fortune and a determination to turn their own traumas into hope for other younger children, managed to survive. Felicity Eliot interviewed two such young men, brothers – Charles Boye Jr., a former child-soldier, and Bamine Charlie Boye, a former spy for the rebel forces. Sierre Leone suffered nearly 10 years of war. Charles and Bamine Charlie Boye grew up in a rural area of northern Sierra Leone. Their father was a Baptist pastor and they lived on a farm with their extended family. They were young children when hostilities started. Their early years were happy but cut short when war broke out in 1991. 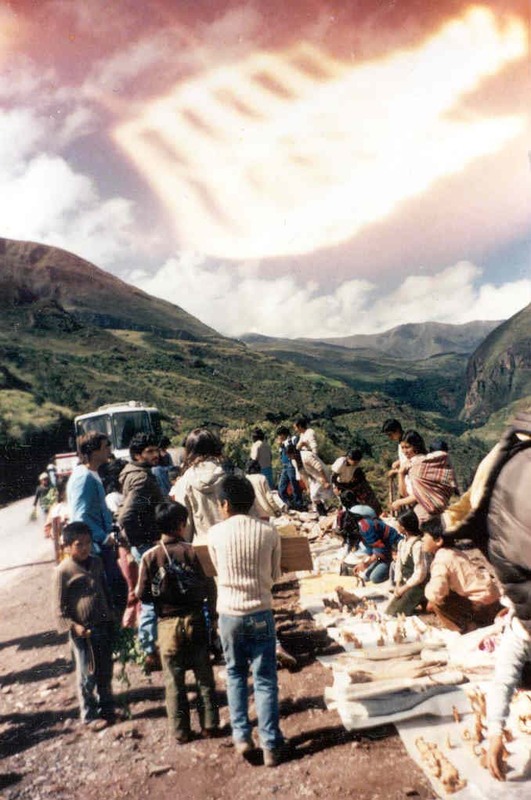 The escalating conflict caused many families to flee their villages; the resulting disruption added to the country’s chaos for years and allowed atrocities to flourish virtually unchecked. In 1995 the rebel forces attacked the village where Charles and Bamine lived with their family. The family fled into the bush to hide and it was at that time that their grandmother died. Too afraid to return to their home they moved to a nearby city, Makeni, hoping that it would afford more protection. Charles Boye: In Sierra Leone all children of about 10 or 11 years old take a big examination. On the day I was supposed to take my exam all of us children were gathered in a large examination hall. Suddenly, there was noise, shouting, people running, shooting and many of us children were captured by the rebels. You see, government forces wouldn’t shoot children so the rebels always kept children with them. Many of the children died on the way to the bush and also once we were there. It was a long way. It was so hard for little children who weren’t used to such circumstances. By the grace of God, and because of the faith and prayers of our parents, my brother and I survived and we lived with the rebels in the forest. Share International: What were the conditions like? How were you treated? CB: Well, if you are ordered to do terrible things and you are 10 years old – you can’t, unless you are given drugs. SI: That happened to you? CB: Yes, I was given hard drugs. Yes, I took them because you can’t carry out their orders without the drugs. And if you didn’t do what they wanted you could be killed or beaten badly. I was an addict. And then I could do what they forced me to do and see. I was also beaten. There were bad things; I saw things, plenty of painful things. Atrocities1. SI: I can’t imagine; it must have been a severe trauma. As Charles answers there is not the slightest cadence of self-pity in his voice. His manner is matter-of-fact but not dulled and numb as is often the case with trauma victims. His description of his time with the rebels is discrete, as if he is shielding me from the worst. CB: Yes, it was a traumatic time for all the children. It had a very negative impact on so many of us. Bamine Boye: I was with the rebels in the forest for several months. I worked for them as I spy. SI: What did you have to do? Why did they use you as a spy? BB: Well, before the rebel forces went into a village they needed to know a lot of information: how many people in the village, were there any government troops there, were there many men, were there a lot of children, was anyone there armed? They needed to know these things so that they would know how and where and when they could attack. So, a little child in a town or village wouldn’t really be noticed, so lots of little children were used as spies. When I asked Charles how he had managed to deal with his terrible experience and the traumatic after-effects he said that he had “thrown it away”. When pressed on this point he explained that when the war was almost over he and his younger brother managed to find their way back to their parents. With their loving support and with the help of an organization set up by the government of Sierra Leone called the Children’s Forum Network (CFN) Charles and Bamine gradually recovered. CB: They helped us and advised us. After some time, my brother and I joined CFN and because they saw that we were capable and intelligent we were helped to progress and develop within the organization. We got to positions where we could help other children who had suffered like us. We knew what it was like. We started giving our ideas and opinions to help them. We began to advocate on behalf of so many children who were so badly hurt. Some of those former child-soldiers or slaves or spies are still – even now as young adults – on the streets. SI: What made you decide to turn your suffering into something positive? CB: To us, it’s natural. If we who know the facts don’t help, who will? We know what we did and what happens in wars – especially to children. Who can do it better than us? Most people don’t know what it is like to be a child in a war; even today some young men and women of my age [Charles in is his early 20s] who had similar experiences to mine and my brother’s are still hanging around street corners, day and night, being prostitutes, begging or stealing for money for drugs or just to survive. Rehabilitation and re-unifying families is important work. BB: Did you know that Sierra Leone has one of the worst rankings in the world for children? The children face so many problems; that’s why we focus on being advocates for them. Schooling, especially, education for girls, healthcare, water, sanitation – all these things are sub-standard. Sierra Leone has diamonds and other natural resources but at the same time we have very high maternal mortality rate and high infant mortality. People think because the fighting stopped the problems stop but we have so much work to do. Few people would have difficulty defining the word refugee. In the United Nations statutes the term refugee is applied to the victim of violence or persecution; this entitles the victim to asylum and help in another country. What is the status of those who are forced by climate change to flee their traditional homes? The number of climate change refugees is increasing as climatic conditions, such as drought, floods, rising sea-levels and desertification, make their lives untenable. The Stern Review, a 2006 assessment on the economics of climate change authored by British economist Sir Nicholas Stern, quoted estimates of as many as 150-200 million “permanently displaced” environmental refugees by mid-century. The International Organization for Migration (IOM) estimates as many as 200 to 250 million by the same date. One of the problems is the complexity of the issue since so many factors are involved, making the definition of an environmental refugee extremely difficult. For example, is a disastrous series of floods part of a natural cycle, is it due to global warming or is it due to mismanagement of water systems, dams, building on flood plains? Whatever the causes, which countries are then required to give asylum to climate refugees? And for how long? Jeffrey Sachs, director of the Earth Institute at Columbia University, New York, believes the war in Sudan’s Darfur is an example where climate change has already driven a badly-stressed region over the brink. At present, “there is no obligation to accept people fleeing poverty,” says Jean-Francois Durieux, who is in charge of climate change at the UN High Commissioner for Refugees (UNHCR). Durieux believes that there is a conspiracy of silence and said that the question of accepting climate refugees “remains taboo”. The world now has three types of refugee: political, economic and now environmental. International agreements, governmental thinking and the general public perception have hardly accepted the validity of the claims of the second group – let alone taken on board the environmental threats to life and livelihood of the third group. Changes to the Earth’s land cover, climate, and ecosystems are endangering the health of hundreds of millions, possibly billions, of people worldwide and now represent the greatest public health challenge of the 21st century. The scale of these global changes is rapidly undermining human life-support systems and threatening the core foundations of healthy communities around the globe: access to adequate food, clean air, safe drinking water, and secure homes. These are the findings of a new report, Global Environmental Change: The Threat to Human Health, published by the Worldwatch Institute and the United Nations Foundation. The report notes that, as a result of rapid changes to the climate and in land use, alterations in the distribution of malaria, schistosomiasis (bilharzia), and other infectious diseases are already taking place in many regions. It concludes that poor populations, mainly in developing countries, are the most vulnerable to these environmental changes, even though they are the least responsible for contributing to them. “It is increasingly apparent that the breadth and depth of the changes we are wreaking on the environment are imperiling not only many of the other species with which we share the ecological stage, but the health and wellbeing of our own species as well,” writes the report’s author, Dr Samuel S. Myers, an instructor of Medicine at Harvard Medical School and Research Associate at the Harvard University Center for the Environment. The report outlines a series of public health threats – food and water scarcity, altered distribution of infectious diseases, increased air pollution, natural disasters, and population displacement – that collectively threaten large segments of the human population. But most of the death and disability from these threats is fundamentally preventable, Dr Myers writes, if the political will can be mobilized to take strong, concerted action. The report outlines the need for national-level risk assessments to identify the greatest threats in different regions, as well as unprecedented technical and financial assistance from the international community to help developing countries adapt to the health impacts of accelerating environmental change. After identifying the problem of climate change in An Inconvenient Truth (2006), former US Vice-President Al Gore’s latest book offers a solution and some workable approaches to tackling one of the gravest crises besetting humanity in Our Choice: A Plan to Solve the Climate Crisis. This richly illustrated book outlines four areas for improvement, before sounding a clarion call to us all to take action as individuals. In the first section Gore exposes our dependency on fossil fuels and the dangers of CO2 emissions before describing alternative methods of power generation, such as electricity from the sun, windmills, geothermal energy, bio-fuels, carbon capture and, finally, nuclear energy. In the next section he describes the invaluable resource of primal forests and the effects that deforestation has on our climate. After describing the Earth’s soil as the “living skin of our planet”, he analyses the consequences of an increasing population and the misuse of natural sources. The third section elaborates on how we use energy, how we may improve the efficiency of our energy use, as well the need to modernize our existing power grid, which the author says is obsolete and inefficient. Then the author gives a description of the obstacles we need to overcome, such as our way of thinking, the true costs of CO2 emissions and political obstacles. The book concludes by calling on readers to take responsibility and act on the knowledge we have about the dangers of climate change, and the areas where we can make a difference. Our Choice gives a comprehensive overview of the issues relating to global warming and sounds an informed call to action to implement our collective will to reverse the trends and save our planetary home. Al Gore: Our Choice: A Plan to solve the climate crisis. Published by Rodale (USA) and Bloomsbury (UK), 2009. ISBN: 978-0-7475-9098-9. On 12 December 2008 Share International distributed a news release announcing that in the very near future a large, bright star would appear in the sky visible throughout the world, night and day, heralding the imminent appearance of Maitreya in His first interview on a major US television programme. Since then sightings of the ‘star’ have been reported all over the world and hundreds of sightings have been sent to Share International. We include a selection of the latest reports from the media, Share International readers, and sightings from YouTube. All the photographs show genuine sightings confirmed by Benjamin Creme’s Master to be the ‘star-like luminary’ heralding Maitreya’s emergence. 21 December 2009, Montreal, Canada, sent by A.T.
20 November 2009, Nuremberg, Germany, by K.M. Berlin, Germany, at Langenscheidtbrücke, 5 September 2009, at 9.25pm, “looking to the eastern sky (at approximately 120°). It shows remarkable changes in size and color which are quite puzzling to me. According to star maps it could be Jupiter but I have never heard of any effects that could explain what you can see on the video. The enormous, spiral light with its glowing centre, seen over northern Norway on 9 December 2009 for almost 15 minutes, was reported by media worldwide. In a news release (No.91) Share International confirmed that this extraordinary manifestation was the ‘star-like luminary’ seen since December 2008 around the world – the sign which heralds the imminent appearance of Maitreya, the World Teacher, on His first television interview in the USA. The release also reported that “further such manifestations are planned for the near future”. Within hours of the publication of the Norwegian spiral photographs and reports, claims were made that the manifestation was caused by a Russian missile. However, Benjamin Creme’s Master confirms that the spiral manifestation was indeed the ‘star’ creating this phenomenon (one of the four huge spacecraft appearing in different parts of the world) and that there is no truth in the theory that it was caused by a Russian missile. Canada – The Nanaimo Daily News reports that on Christmas Day 2009, Chris Ansell and Kathleen Kirby of Nanaimo, Vancouver Island, British Columbia, Canada, were out on the deck in Ansell’s parents’ garden at 8.29pm when they saw four orange lights the size of stars race across the sky from four different directions and come together above Mount Benson. USA – A veteran commercial pilot with eight years’ flying experience, from Tennessee, USA, was watching departing aircraft at Memphis International Airport on 24 November 2009 when he saw a triangular UFO with dull white lights. Its lights were not blinking or throbbing, his report stated, and it was silent, and moving at between Mach 1 to Mach 1.5. Comparing the object with other known aircraft in the sky at the time, the pilot estimated the object to be “the size of a football field”. Bulgaria – Bulgarian Television reported that hundreds of New Year revellers celebrating the first few minutes of 2010 in Bulgaria’s capital, Sofia, saw a diamond-shaped object move erratically in the sky and then disappear. The report quoted a number of the witnesses as saying that they felt the UFO was not of this world. 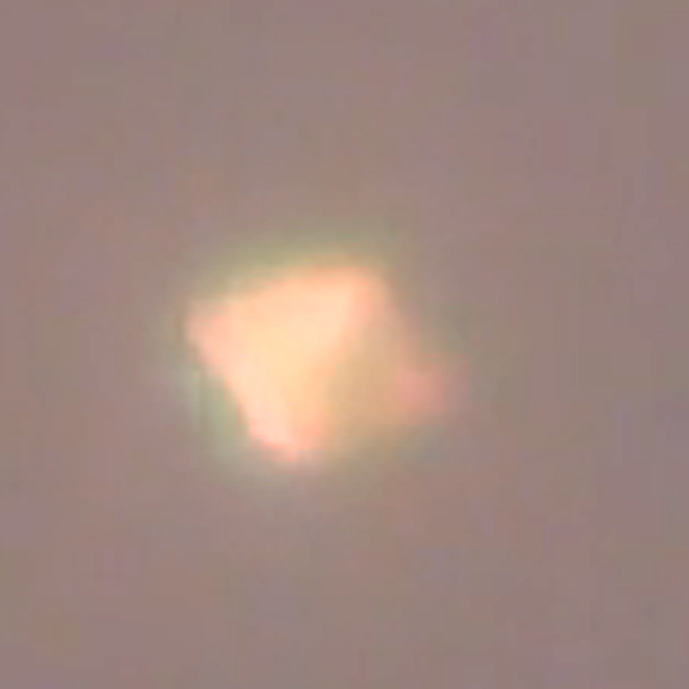 One witness managed to video the UFO. Sightings of UFOs are common in Bulgaria. Following a recent in-depth study of crop circles, the Bulgarian national space agency announced its conclusion that extraterrestrial beings are contacting Earth and communicating with humans through a series of crop circles. A few of the many comments about the ‘star’ attached to videos on YouTube.